It was recently announced that there will be a biopic based on the life of Amy Winehouse that will be directed by Kirsten Sheridan. According to some rumours Noomi Rapace who is best known for starring in Promethius the prequel to the Alien film series will play Winehouse..
Now its early days yet and nothing has been confirmed. I have no problem with Rapace playing Amy. She doesn’t look like her, but she is still fairly exotic looking and she is a great actress too so I’m sure she will be great in the role. Still for all I know its all a lot of smoke and Rapace isn’t even in the running. Until she is confirmed for the role then I see no problem with suggesting another choice for the part. That is if there is even going to be a film. Movies about Alex Harvey and Jimi Hendrix have been stuck in development hell for years so we will see how things go with an Amy movie. 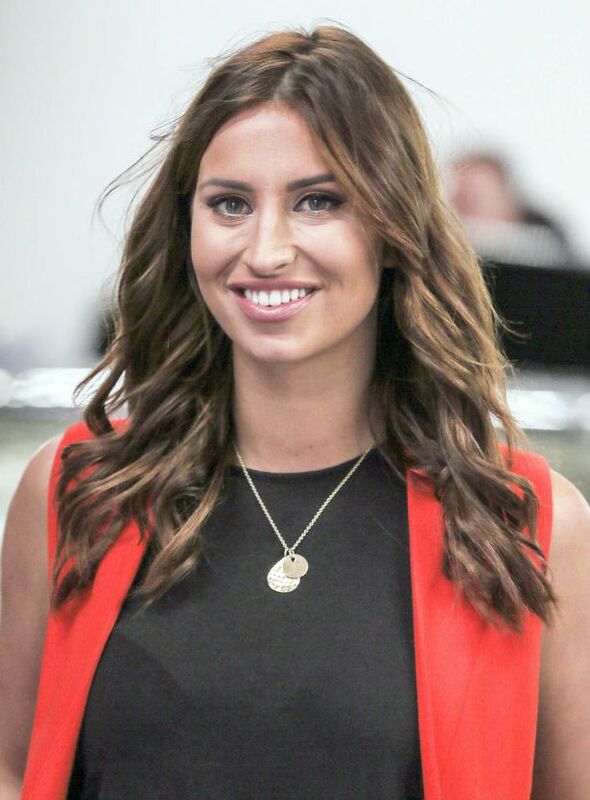 Now my choice for Amy is Ferne McCann a reality tv star best known for appearing in The Only Way is Essex and I’m a Celebrity Get Me Out Of Here. She is also a host of this morning. I have never seen a single episode of TOWIE and I admit I have no real plans to, but I did see her on I’m a Celebrity. I even voted for her. Now the reason I think Ferne would be good is that she really bares quite a startling physical resemblance to the late soul singer. She has a very similar shape of face and mouth and her nose is very similar too. They also have a very similar speaking voice too. I think that people who look alike often sound alike too and in Amy and Ferne’s case they have the same accents, the same mannerisms, expressions. Its quite uncanny. Not to get off topic but its cool that John Hurt was one of the other guests on that show clapping Amy as she went out. You can see how Ferne certainly would look and sound the part. Also I think that perhaps she could somewhat relate to Amy Winehouse too as she does come from a similar back ground to Amy in that both are/were working class women from London who were somewhat more unusual, but still managed to shoot to fame anyway. Ferne also it seems sadly suffers from many of the same insecurities as Amy too. Amy Winehouse was always very insecure about her appearance and in the last few years of her life she even wanted plastic surgery. She felt her nose in particular was unattractive and wanted to change it as you can see in this link below. Ferne similarly has often spoken about how she would like to change her nose too and has come close many times to having an operation done to change it. I personally hope she doesn’t change her nose as I think she looks gorgeous the way she is and plastic surgery is never the option. Also her nose ironically I think is part of what makes her so beautiful because its so striking. Any way getting back on track you can see how Ferne might be able to relate to Amy more so than say a big Hollywood actress would. The two of them were an odd combination of being quite strong and even strident in some ways, whilst very vulnerable and self conscious in others. Now whilst Ferne may have many of the right qualities for the role the most important thing is can she act? Well whilst she is best known as a reality star Ferne has recently moved into acting. She was cast as Myrtle in a west end production The Great Gatsby and she has recently won a role in a Hollywood film as well. So it seems that she must be a professional actress at least in order to get such high profile work. On top of that she can also sing too which would obviously be important for playing Amy! I sadly haven’t seen her in the Gatsby so I can’t comment on her acting personally but still whilst she may be at the start of her career in a few years time she could easily be a reasonably respected actress. Remember Billie Piper was just a pop star, a faded pop star when she was cast as Rose Tyler in Doctor Who. After that part she went on to become a very successful and international actress. So perhaps Amy Winehouse could be the role that launches Ferne McCann’s career. Whatever the case I think Ferne should be considered for the role at least as she certainly does have the right look, voice and persona for the late Queen of Camden. Since I wrote this sadly Ferne got a nose job. It thankfully wasn’t that extreme and she still does look great, but I really wish she hadn’t changed her nose as she was such a unique beauty the way she was. If you are reading this Ferne please, please, please do not change anything else about yourself. You are gorgeous just the way you are. Despite her surgery I think Ferne still looks like Amy. Here is what she looks like post her nose job. 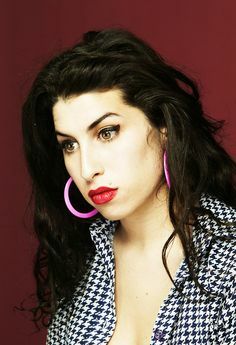 She still looks amazing and I think she would also still be a good match physically for Amy, particularly the Frank era Amy.